Take-up of office space in Central London has shown a year-on-year increase of 30 percent, reaching 1.3m sq ft in October, according to CBRE. Take-up was strong from creative firms, representing 18 percent of all deals, including the largest deal of the month which saw McCann Erickson take 146,400 sq ft at 135 Bishopsgate EC2. 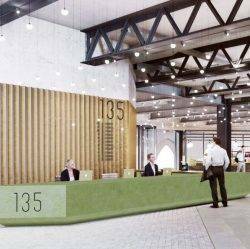 Flexible office operators took 122,300 sq ft of space during the month, bringing the proportion of take-up represented by the flexible office sector in the last 12 months to 19 percent. The largest flex acquisition in October saw Landmark Spaces acquire 37,800 sq ft at Portman House in the West End. At the end of October, the largest under offer was at 5 Merchant Square, W2, totalling 159,200 sq ft. There were 12 buildings in total with more than 50,000 sq ft under offer, and three which were 100,000 sq ft or larger. Under offers were above the 10-year average in all Central London markets aside from Southbank. Central London availability rose to 14.7m sq ft in October, a rise of 7 percent from the previous month. Year-on-year, availability was 3 percent higher. The availability of secondhand space was dominant and increased to 10.0m sq ft during the month, 12 percent above the 10-year average of 9.0m sq ft.